There are many actions researchers can take to increase the openness and reproducibility of their work. The Center for Open Science has a mission to increase the transparency, reproducibility, and inclusivity of scientific research by offering free tools and services to researchers. Please join us for a webinar, conducted by COS, to learn easy, practical steps researchers can take to increase the reproducibility of their work. 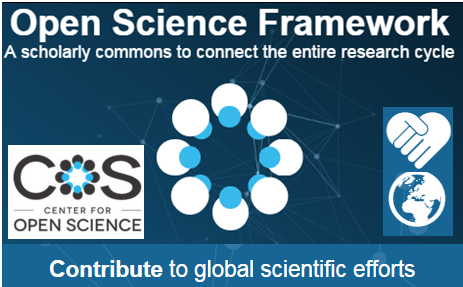 This webinar will also introduce the Open Science Framework (OSF), a free, open source web application built to help researchers manage their workflows. The OSF is part collaboration tool, part version control software, and part data archive. The OSF connects to popular tools researchers already use, like Dropbox, Box, Github and Mendeley, to streamline workflows and increase efficiency. This introductory webinar is aimed at faculty, staff, and students involved in agricultural research. Participants will gain a foundation for incorporating reproducible, transparent practices into their current workflows. April Clyburne-Sherin is an epidemiologist with strong methodological and statistical skills working to improve the quality and openness of scientific research. She currently works as a Reproducible Research Evangelist for the Center for Open Science (COS, http://cos.io), a non-profit science and technology organization designed to increase the transparency, reproducibility, and inclusiveness of scientific research. At COS, she conducts workshops on open and reproducible research practices for scientists globally. 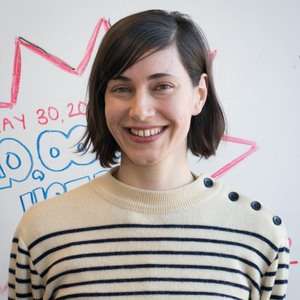 She is also the Community, Outreach, and Communications lead at OOO Canada (http://www.ooocanada.ca/), a network to promote leadership in open data, open education, and open data at Canadian institutions. Send an e-mail to AIMS@fao.org, with your name, affiliation, country, e-mail and name of webinar. Adobe® Flash® Player 10.3. If in doubt, go to Checking system requirements of the web conferencing programme Adobe Connect.